CAVITE CITY—Tatak Rekoleto: SangPuso was an attempt to evangelize through the universal language called music. The melody of each religious song and the lyrics invoked nothing but God’s love for His flock. And there wasn’t anyone better to render these messages other than the OAR priests and religious whose hearts are one with the Sebastinian Community. Tatak Rekoleto: SangPuso was a venue for vocation campaign, in particular to the Recoleto mission. A performing stage, no matter how secular, was a rich source to awaken someone’s heart to respond to God’s Call. Tatak Rekoleto: SangPuso has also served its purpose to call on the Sebastinian community to rally behind something that is measurable and concrete, something real and timely, something evident and palpable—to rehabilitate the 4th Recoleto Centennial Gymnasium in San Sebastian College-Recoletos de Cavite, Cañacao Campus. It was an edifice that is a source of pride not just by the Sebastinians but the Caviteños as well, for it also serves as the city’s landmark. 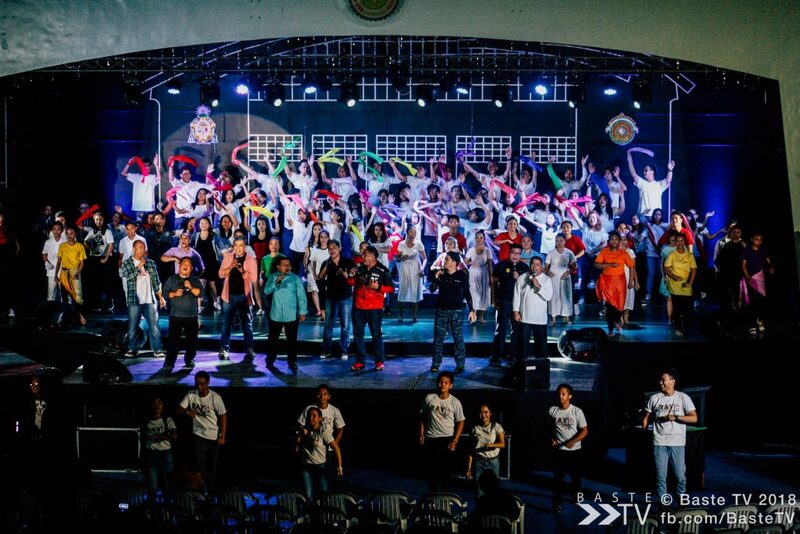 The Cavite community was overjoyed that the 5th staging of Tatak Recoleto Confert has served its purpose well. This event became a beacon for all else to be undertaken by the community. The solidarity of our students, parents, and employees and alumni with the OAR brothers was an extraordinary exhibit of our dear Father Augustine’s Anima una et cor unum Deum. Truly, Tatak Rekoleto: SangPuso is Pinag-ISANG PUSO (hearts united).